We understand that you may need to return or exchange items purchased from My Kids Lab Coat so we offer the following return and exchange policy. We will accept any non-embroidered or un-altered Lab Coat within 30 days of delivery provided it is unwashed, unworn, in original condition, in the original packaging with all tags attached. We ask that all returns and exchanges are sent back with a copy of the packing slip or invoice enclosed. A refund will be given for the original purchase price less any applicable Shipping Charges. 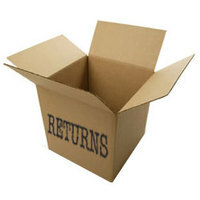 The Customer is responsible for shipping charges to return or exchange an item. Send an email to sales@mykidslabcoat.com and let us know your Invoice Number and what you are returning before you send your items to us. A Return Authorization is not needed.